Nissan is working on an innovative urban electric vehicle that it says improves on the Twizy produced by alliance partner Renault. Etienne Henry, Nissan's head of product strategy and planning said the new car will combine the compactness and agility of a motorcycle with the weather protection and protective shell of a conventional car. "The Twizy is also trying to combine these, but we think there are optimizations possible with this kind of vehicle," said Henry, who declined to say when the car might be added to Nissan's lineup. Renault sees the Twizy as an alternative to scooters in Europe's crowded cities. 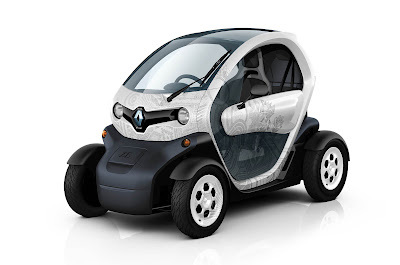 The Twizy, which debuted last year, is powered by a choice of two electric motors, a 4kW/5-hp version with its top speed capped at 45kph that can be driven in most countries in Europe without a driver's license and a version with a top speed of 80kph. It has maximum driving range of 100 km. 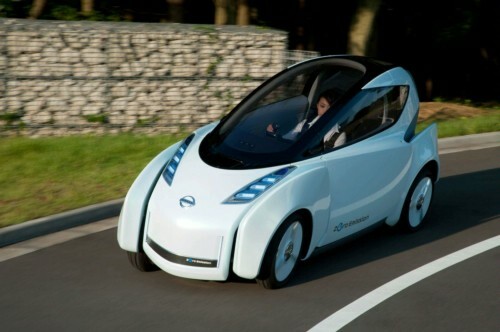 In 2008, Nissan showed the narrow, two-seat Land Glider concept that leaned into corners like a motorcycle but still came with the security of four wheels and an enclosed cabin. In a statement at the time, Nissan said it "should not be regarded as a mere design study." "That was a very interesting concept with very challenging and meaningful technology," said Henry, who declined to say whether any of the Land Glider's features would make it into its future EV. Henry, who previously was product manager for the first-generation Qashqai compact crossover, said the new EV would successfully mix the motorcycle and car genres in the same way the Qashqai blended the strengths of a compact hatchback with the styling of an SUV. One aim of the new EV is to help address congestion in fast-growing cities. "It's clear we need to offer an efficiency in terms of compactness, of space usage. Probably this will have an answer to this question," he said. At this year's Geneva auto show, Toyota showed an electric urban mobility concept with the same capability to lean into corners as the Nissan Land Glider. The three-wheel i-Road is scheduled for limited production and will join the lineup of EVs in Toyota's car-sharing program in the French city of Grenoble next year.